A stock photo of the Skytrain. Credit: Siemens. A consortium of Siemens and ST Electronics (Thailand) has signed a contract with Bangkok Expressway and Metro (BEM) and CH. Karnchang for the extension of Bangkok’s Blue Line metro. The deal covers 35 three-car metro trains, the signalling system, the traction power supply, complete equipment for the depot and workshop and system maintenance for 10 years. The 28km extension is due to be operational for 2019-2020 with BEM as the operator. 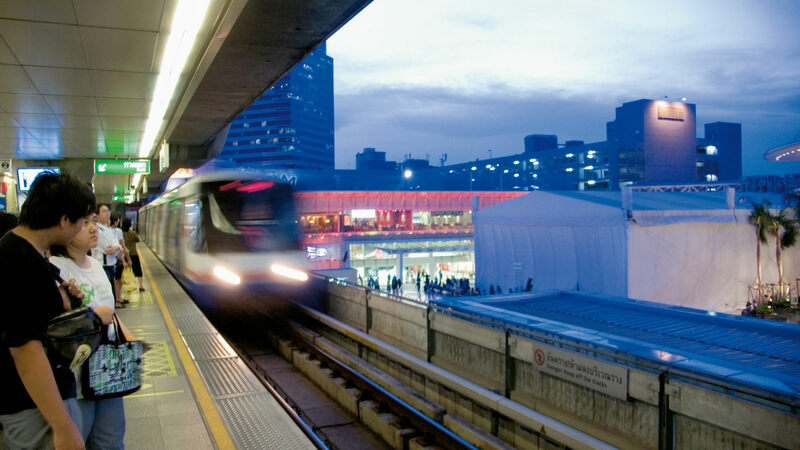 Siemens’ mobility division has completed three turnkey rail systems for Bangkok to date: the Blue line, the Skytrain and the Airport Rail link. CEO of Siemens mobility division Jochen Eickholt said: “We have decisively helped develop and shape Bangkok’s urban transport system over recent decades.